Here’s what’s happening in the world of television for Monday, April 2. All times are Eastern. 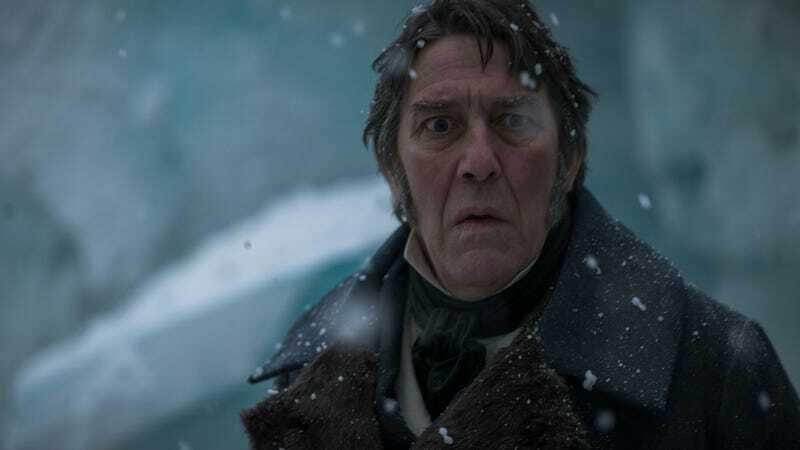 The Terror (AMC, 9 p.m.): In an assured premiere, David Kajganich and Soo Hugh’s new AMC drama left the crews of The Erebus and The Terror stranded, but relatively safe, in the Arctic. Well, aside from the crew member who was offed by something unseen. The third episode, “The Ladder,” finds the ships’ captains (played Ciarán Hinds and Jared Harris) butting heads as they continue weigh their odds of survival. But the frozen wilderness soon gives them something else to worry about. Sean T. Collins will track the treacherous events from slightly more comfortable surroundings tonight. The Crossing (ABC, 10 p.m.): With shades of Lost and The 4400, this new sci-fi thriller promises timeliness and time travel. Starring Steve Zahn and Kingdom’s Natalie Martinez, The Crossing centers on a group of shipwrecked—minus the actual ship—refugees who wash ashore in a small American town. The twist is that the war-torn country these survivors claim to have fled is actually America (no spoilers here; that’s a widely reported plot point).